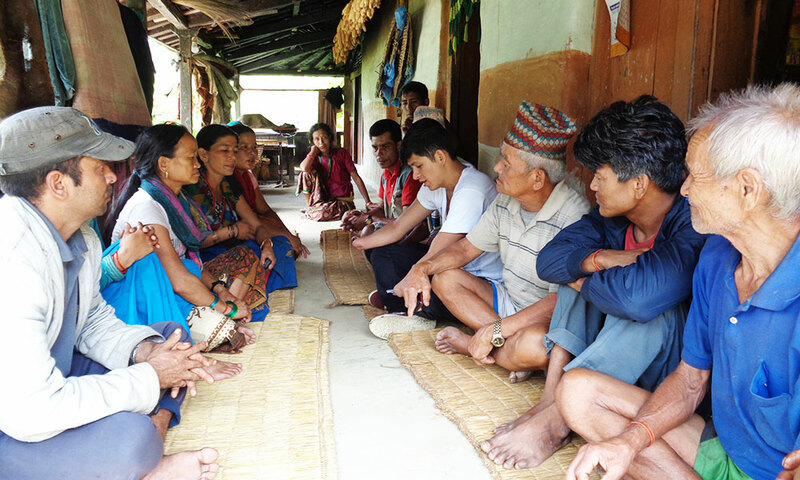 Om Bahadur, an INF client, is profoundly disabled by Cerebral Palsy. Om’s parents are very poor and his father has hearing problems. 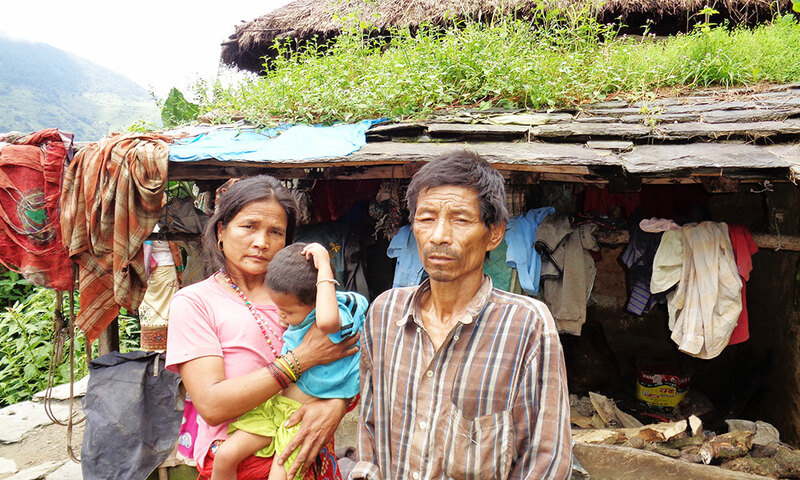 The family’s house was badly damaged in the earthquake, forcing them to move from their community to a spot near the jungle. INF’s Community Based Rehabilitation [CBR] team visited their house and did an assessment of the damage with a view to help them rebuild. INF’s CBR team approached the family through a local partner organisation and offered support for reconstruction of the house. The family accepted the offer and the INF team facilitated a community meeting to form a committee to help construct the new house. With the help of INF and local experts, the committee designed a plan of house to be disaster resilient and accessible by PWDs. The location of the house was suggested by the community and the house construction was approved by the local Government office. 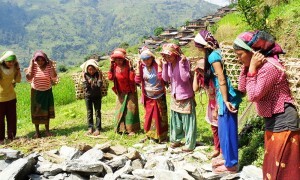 The community participated in the preparation work and construction of the house. Saunepani Community Forest Users Group provided wood for the family, free of cost, and the community collected stones and other building materials. The house comprises two rooms, with wide doors to provide access. A separate toilet will be built beside the house and a ramp will be constructed to access both the house and toilet. 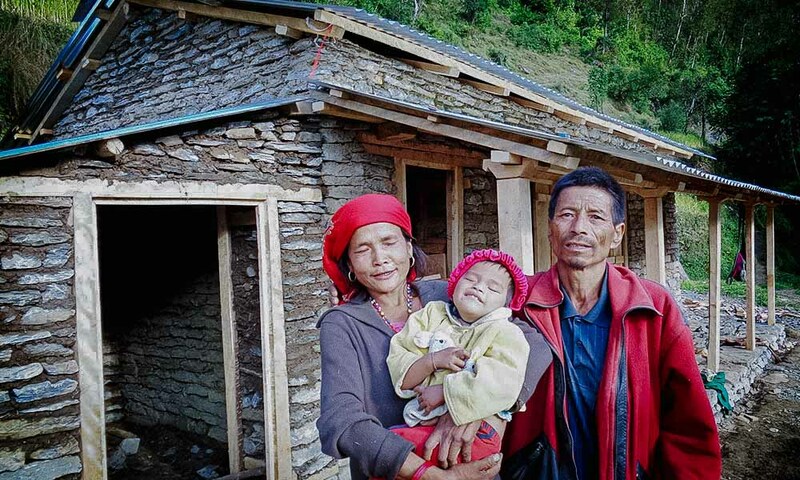 PRAY| GIVE| GO| SHARE Please pray for our disaster response and CBR teams as they continue to provide community-based rehabilitation in some of the worst affected communities. Our response to earthquakes, and other disasters, adheres strictly to the Red Cross and Red Crescent Movement’s “Code of conduct” including that aid will not be given to, or withheld from, anyone on the basis of their caste, ethnicity, politics or religion.